We initially contacted MWF to install a drinking water system in our home to eliminate the need for bottled water. After consulting with them we ended up installing a whole house water system, and we have never been happier with our water quality. The sales and installation technicians were on time, professional, and courteous. We love the bottled water quality to drink, and our clothes skin and hair have never looked or felt better. Our family would definitely recommend MWF to anyone looking to improve their water quality! I simply cannot say enough good things about Metro Water Filter. We recently installed a water filtration system for our home, and I could not be more pleased. My clothes are whiter, brighter, and cleaner. My dishes from the dishwasher are likewise cleaner and less stained. My hair is softer, and my skin feels years younger. In short, I could not be more pleased with the results, and knowing that I am creating a safer, more healthy environment for me and my family is an added plus as well. Metro Water Filter was professional, knowledgeable, and easy to work with as well. I would highly, highly recommend them. Two years ago we used Metro Water Filter to install a water filtration system in our home. Because we have a well, we had hard water that was harsh on our hair and skin and stained clothes in the washer. The water also left a blue residue in the sinks and bathtubs (and in my hair) that was difficult to clean, and the water did not taste good. That all changed within a week of installing the new filtration system. Now we can drink the water from the sink and not from bottles; there is no more residue, green hair, or stained clothes. The employees who installed and now maintain the system are courteous and very knowledgeable. We highly recommend Metro Water Filter. My wife and I are owners at the Village at Lake Club Pointe. We were told when we purchased our three bedroom unit that we might want to consider installing a water softening system due to the high mineral content of the water. We chose to wait before investigating water softening systems due to other start up expenses at the time. Over the next 12 months, we began to notice several water related abnormalities such as spots and streaks on dishes/glasses, offensive odor emanating from hot water faucets and rust residue around joints. After speaking with a number of people who had already purchased systems, we decided to give MWF a call. After explaining our water concerns to metro Water filter, they assured us that one of their systems would eliminate the issues that concerned us. They sensed we were skeptical about spending over a thousand dollars for something we were not sure would work. He offered to install the system and suspend any payment until we were satisfied with the results. Needless to say, we were completely satisfied with the MWF system. We no longer experienced spots and streaks on dishes/glasses washed in the dishwasher. The odor was gone from the hot water faucets. We were pleased to learn that we actually needed less soap in the washer, dishwasher and showers due to the softness of the water. We have not noticed the residue around joints since we installed the system. We recommend Metro Water Filter team of professionally trained technicians. 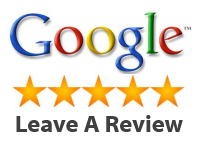 They have been very courteous and responsive to work with and do what they say they will do. I just wanted to let you know that we have been enjoying the new filter system you installed for us in November. It has worked beautifully from day 1, and best of all, has taken all the work out of the weekly maintenance that I was obliged to perform with the old system. I also wanted to thank you for the prompt follow up to the initial questions we had and the courtesy we experienced with your service personnel. Our water is city water and has enough chlorine to smell most of the time. Our families skin was dry and we had prescriptions for dry skin. We installed a Water Softener, Carbon Filter and Reverse Osmosis at our home three years ago. It has been one of the best purchases we have done. Metro installed the equipment professionally and has maintained it very well. We now enjoy not having to have the prescriptions for dry skin an my hair coloring stays longer than it has in the past. The Reverse Osmosis is hooked to our Icemaker and the ice that it makes is wonderful, clear and tastes great. We tell everyone about MWF and the great water that they provide us. My daughter lives with chronic skin problems. We have city water and it has a lot of chlorine in it! The chlorine and slight hardness was aggravating the skin problems. Metro Water Filter installed a Refiner at our home two years ago and we have seen dramatic improvements in our daughter’s problems. We have been able to control it without as many trips to the doctor and not as many medications. We also have seen the benefits of the Softener taking out the hardness in our water. The toilets stay much cleaner and our “whites” stay “white”. We love our Refiner!!! Thanks to Metro Water Filter International we now have water that we can use from our well. I quite often tell friends that our well gives us water that looks like it came from a third world country. It is nasty and we wouldn’t think of drinking it! We had an old system that was maintained, in the past, by another company. The system had never given us the quality of water that we needed to keep our clothes white and our not stain our toilets, sinks, etc. They assured us that they could change some of our equipment and rebuild one of the pieces and give us good, clean water. Quite frankly I was very reluctant due to our experience with the previous filtration company and their equipment simply not doing the job. They gave us a “Satisfaction Guarantee” so we had them do the work. The difference is remarkable! My wife can now wash whites and they are still white. Our sinks and toilets stay clean and we now can drink and enjoy our water without having to buy bottled water all of the time. I highly recommend Metro Water Filter to my friends and customers. The entire staff of installers and service technicians is great. Metro Water Filter installed a Reverse Osmosis Drinking Water Cooler at my business two years ago and we have enjoyed the great water. We live in one of the gated communities here at Lake Oconee and had complained for four years about the quality of our water at our home. Metro Water Filter International installed a Water Softener with a Carbon Filter last year and the difference is very noticeable! Our sinks and toilets stay much cleaner without the hard water stains. We have been able to save a lot of money on cleaning products and soap since we have good clean water. Recently we had several families from the neighborhood over and one of the kids told us that they wished their water tasted as good as ours! We tell all of our friends they need to call Metro! We live in Hartwell and have our own well. Many years ago a water filter system was installed at our house, but it has never worked properly. I frequently complained about our water. They heard me comment about our water and offered to send a technician to our home and check out our system. We took him up on his offer and found that only part of our problem had been addressed with the old equipment. Metro recommended changing the approach and gave a trade-in on our old equipment. We installed the Acid Filter and Water Softener they recommended. The difference is simply amazing. My husband’s T-shirts are no longer dingy. My hair actually was complimented by my stylist after we put the system in. She noticed the difference! Thanks to Metro we now enjoy our water! We operate a local restaurant in Athens. Our Ice Machine has had to have frequent repairs over the past seven years and our Dishwasher constantly had to be de-scaled. Metro Water Filter installed our Refiner / Softener a little over a year ago. We have had no service calls on our Ice Machine and our Dishwasher has remained exceptionally clean. We have also used much less dish detergent since the equipment was installed. We were not sure of the real benefits of installing the equipment at first, but Metro guaranteed us results and WOW! We do not want to go back. We now get compliments from our customers on how great the tea and water taste. Thanks to MWF and their great employees! Our Dry Cleaners has used Metro Water Filter International for the past eight years. We already had equipment already installed. Metro started maintaining the equipment. This past year Metro advised us that the equipment needed to be upgraded. We had to service it very frequently due to the equipment being undersized for our facility. Metro gave us an incredible trade-in price on our old equipment and we installed two water softeners that operate together. Our problems with the equipment have gone and we have really great water now! Thanks Metro!!! Our tea at our restraint was not good tasting and very cloudy. We frequently received complaints from customers about this. Metro Water Filter installed a Water Softener over two years ago and the only time we get complaints now is if we forget to take care of the equipment. The Metro Water Filter service technicians are always prompt for service calls and respond very fast if we do have an issue. Thanks Metro!